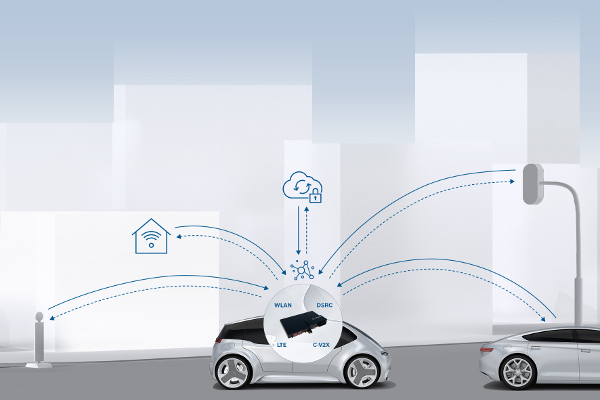 German automotive technology supplier Bosch, in partnership with USA-based intelligent networking software developer Veniam, is introducing a vehicle-to-everything (V2X) connectivity unit that communicates using all of the world’s popular transmission technologies. 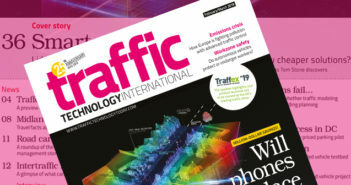 To enable connected and automated driving in the future, vehicles must be able to easily communicate with one another as well as with their surroundings. However, there is currently no globally standardized technical basis for this exchange of V2X data, with a wide variety of standards implemented by different countries and vehicle manufacturers around the world. Bosch has combined connectivity units and telematics units, which individually are only capable of a single transmission technology, to create an all-in-one central control unit for V2X data communication. Vehicles can then use the wi-fi networks available in cities, while elsewhere they can communicate using cellular networks or other systems. While China primarily uses cellular-V2X technology (C-V2X), which is based on mobile telecommunications, Europe and the USA are planning to additionally introduce transmission standards based on wi-fi, such as DSRC (dedicated short-range communications) and ITS-G5, alongside C-V2X. A mish-mash of standards is therefore emerging internationally, which may lead to vehicle communication issues. 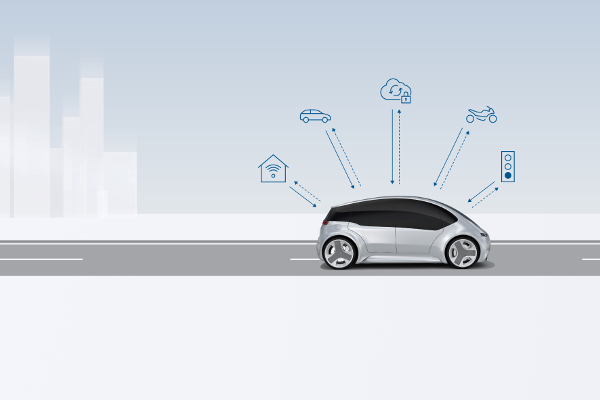 However, when vehicles are equipped with Bosch’s new universal connectivity unit, they will be able to communicate with one another, as well as with their surroundings, regardless of the vehicle make or the country in which they are used. The complex task of selecting these diverse communication options is handled by a smart connection management software system from the Silicon Valley-based startup Veniam, which continuously searches for the best transmission technology that suits the particular requirements and switches automatically between the available alternatives. The software therefore maintains continuous and seamless vehicle connectivity, ensuring cars can, for example, reliably alert one another to accidents and passengers can enjoy uninterrupted music streaming. 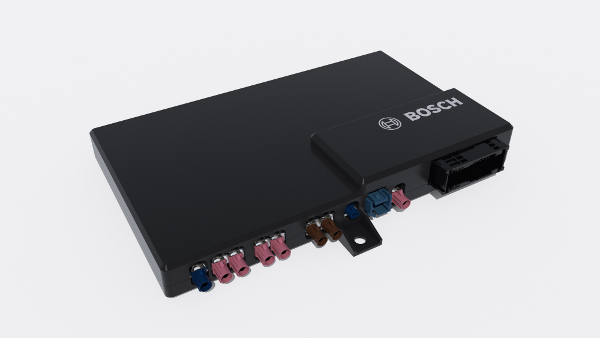 Veniam’s software is the connection enhancer for Bosch’s onboard connectivity unit. 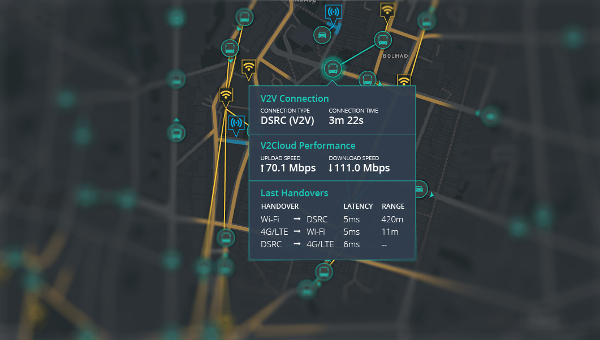 As well as keeping an eye on which V2X communication technologies are currently available for use, the software also closely monitors the costs and data transmission latency of each alternative connection option, since not every technology is suitable in every situation. For example, collision warnings must be communicated in real time using highly reliable technology that is always ready for use, even if that means the resulting data transmission costs are greater; whereas software updates from the cloud or for a navigation system can wait until a low-cost stationary wi-fi network becomes available. Veniam’s software is familiar with the pros and cons of each of the communication types and always establishes the optimal connection method. 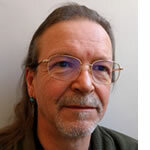 “We are taking a multi-standard approach when it comes to V2X. 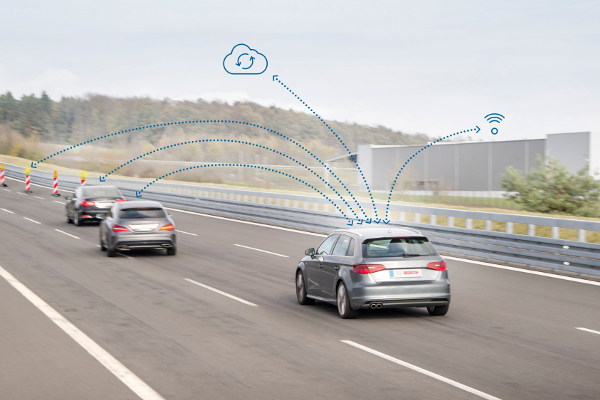 We have developed a universal connectivity unit capable of communicating using all of the transmission standards implemented in connected automobiles,” explained Dr Dirk Hoheisel, Bosch board member. “Thanks to our all-in-one principle for connected vehicles, as many drivers as possible around the world can benefit from the added safety, comfort, and convenience provided by V2X.